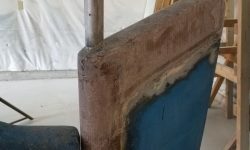 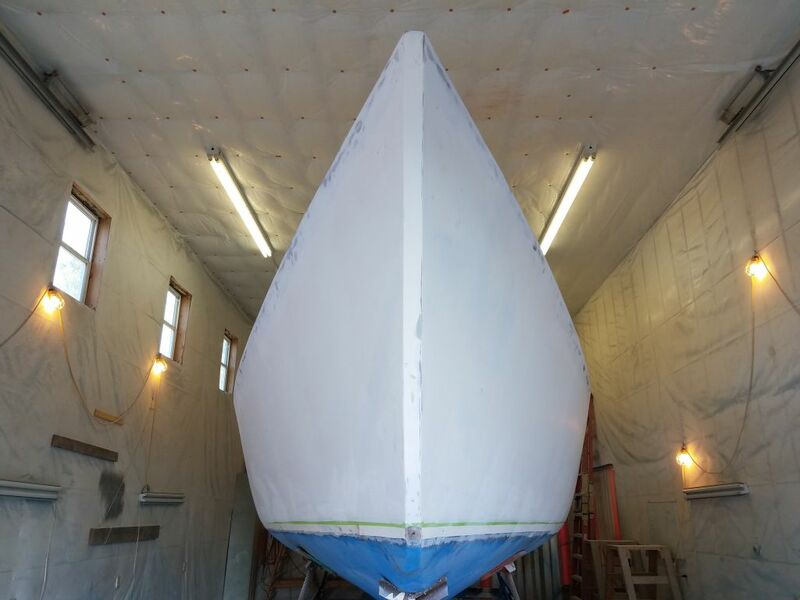 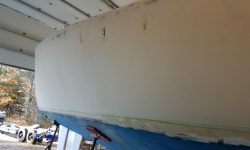 With 220 grit and a palm sander, I sanded the spots on the hull where I’d applied fine filler earlier, removing the excess material and smoothing the hull. 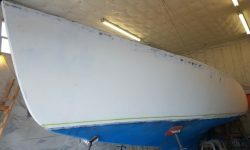 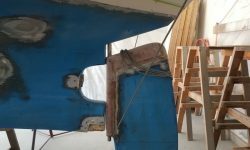 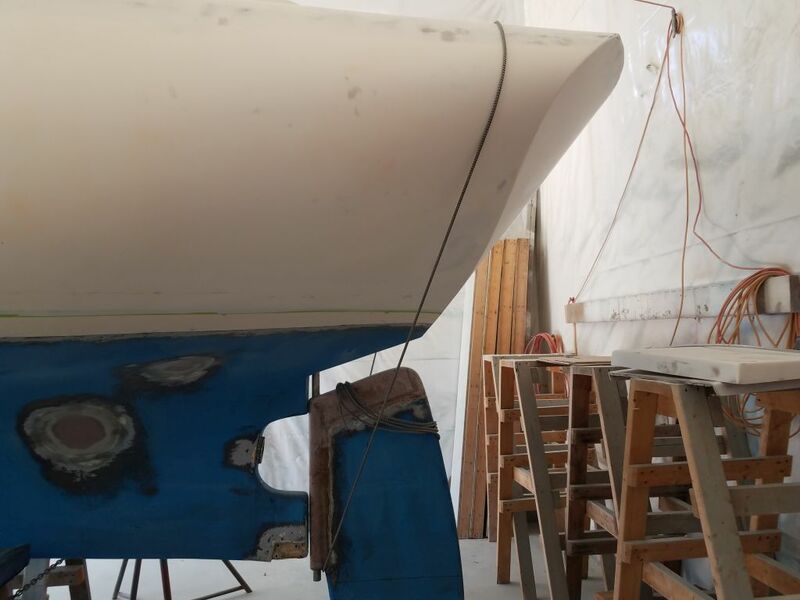 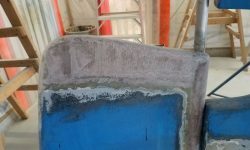 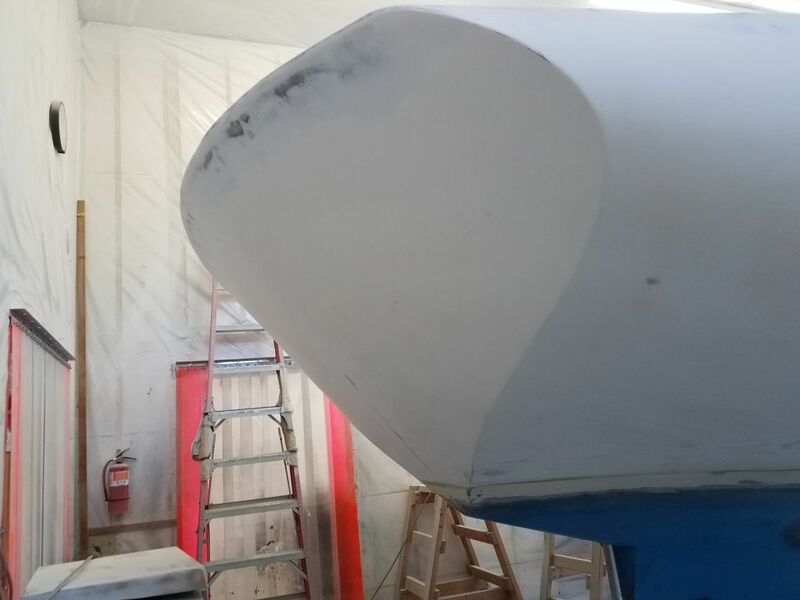 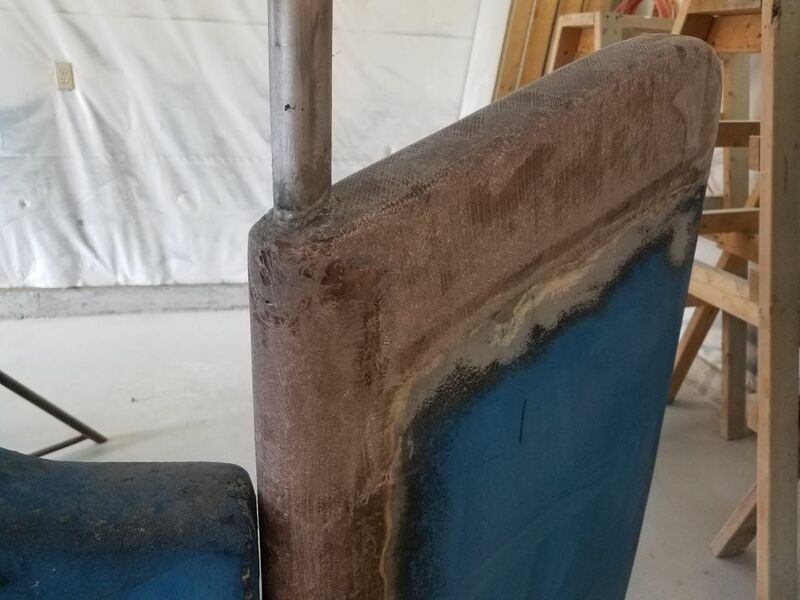 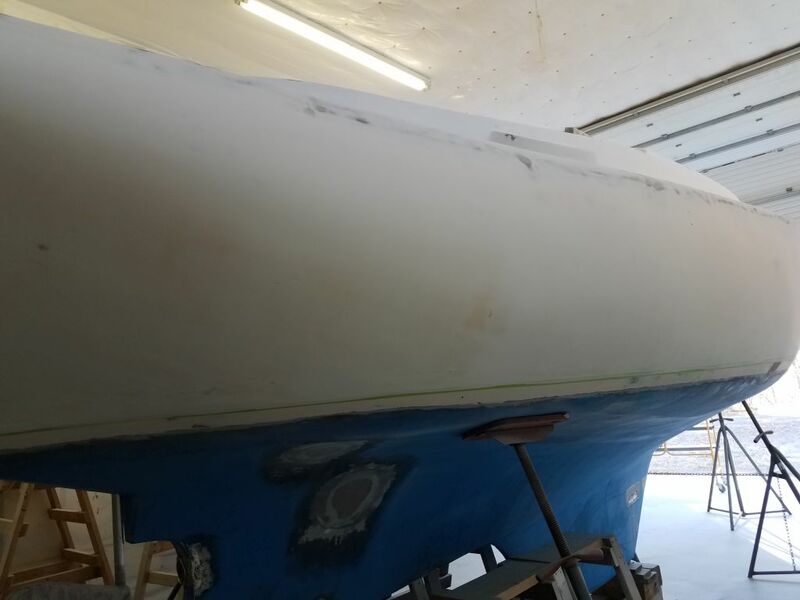 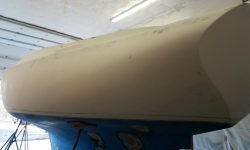 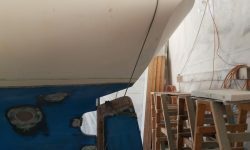 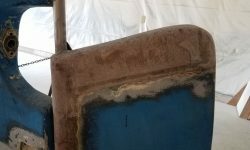 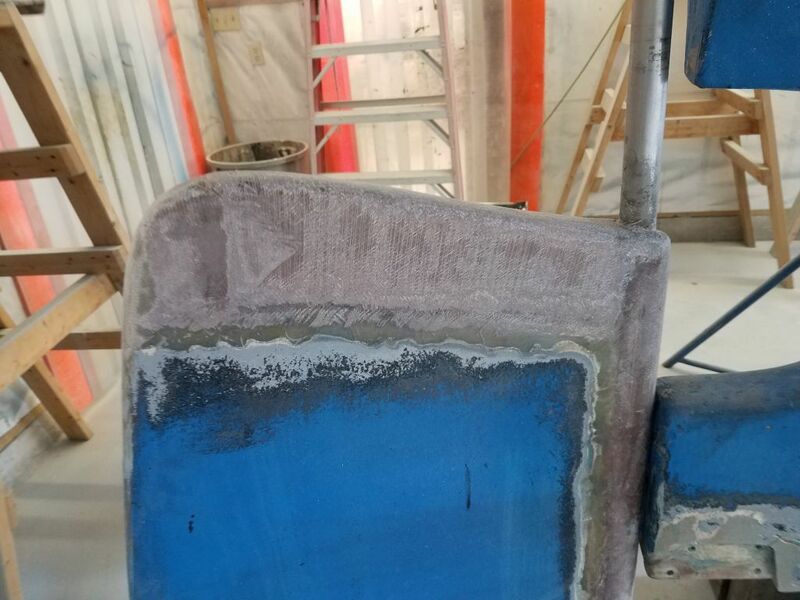 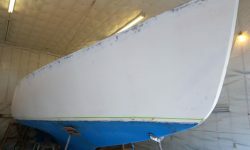 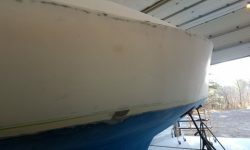 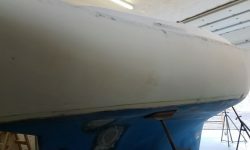 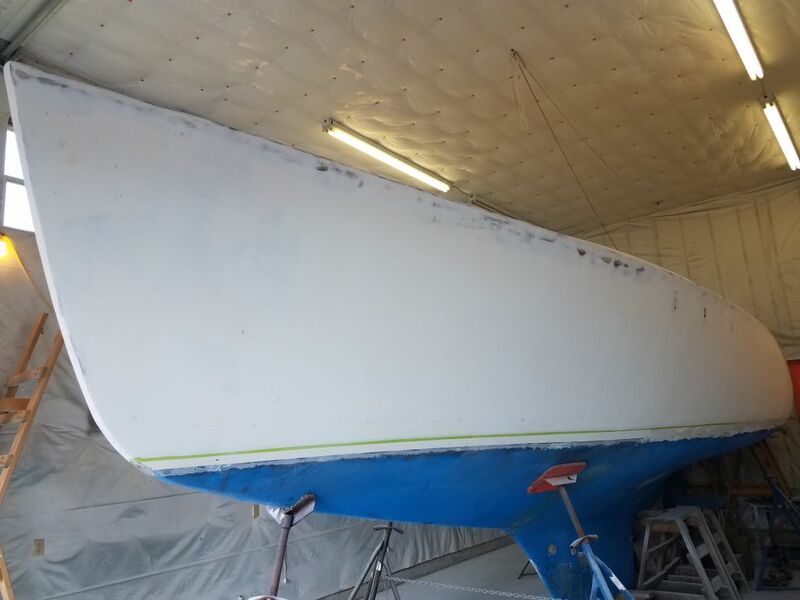 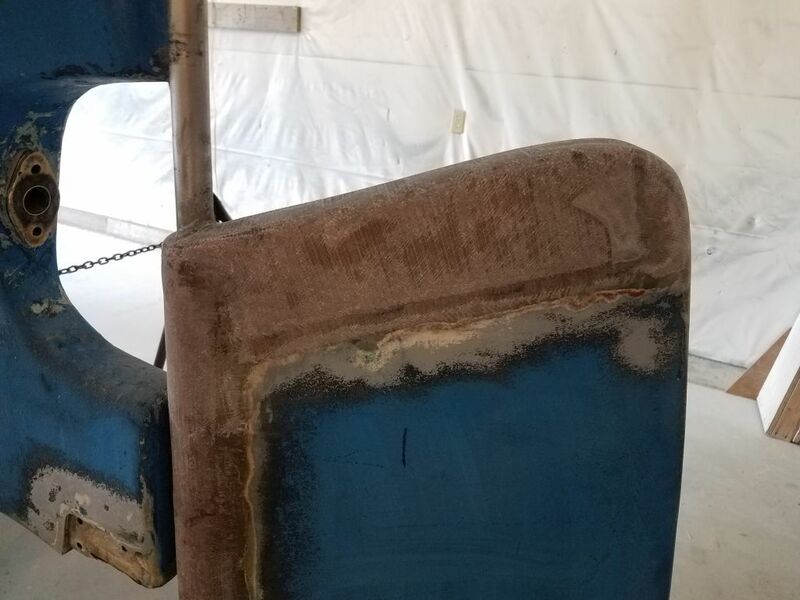 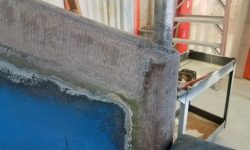 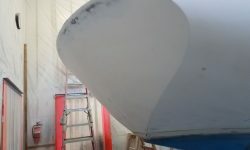 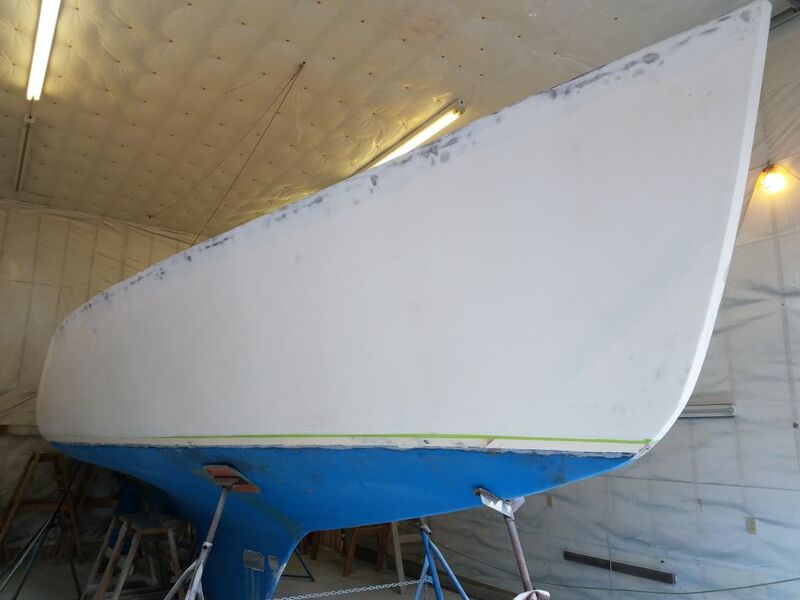 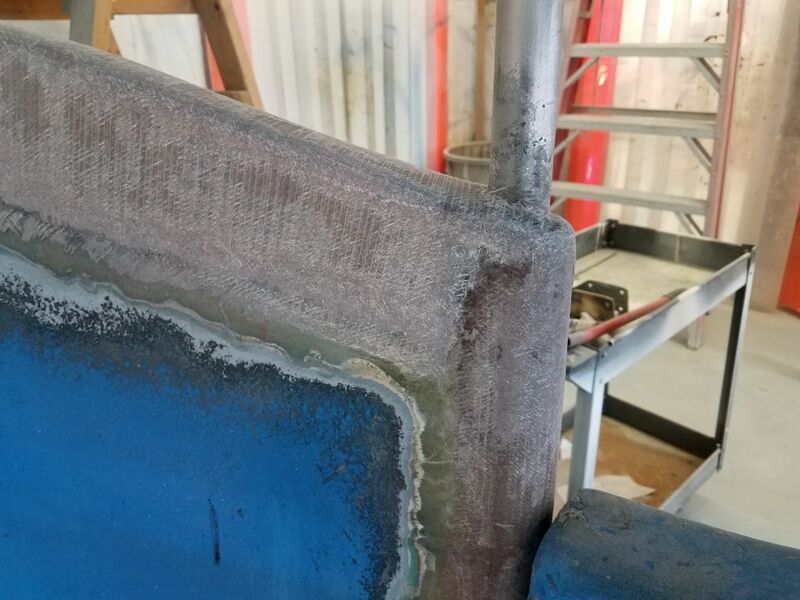 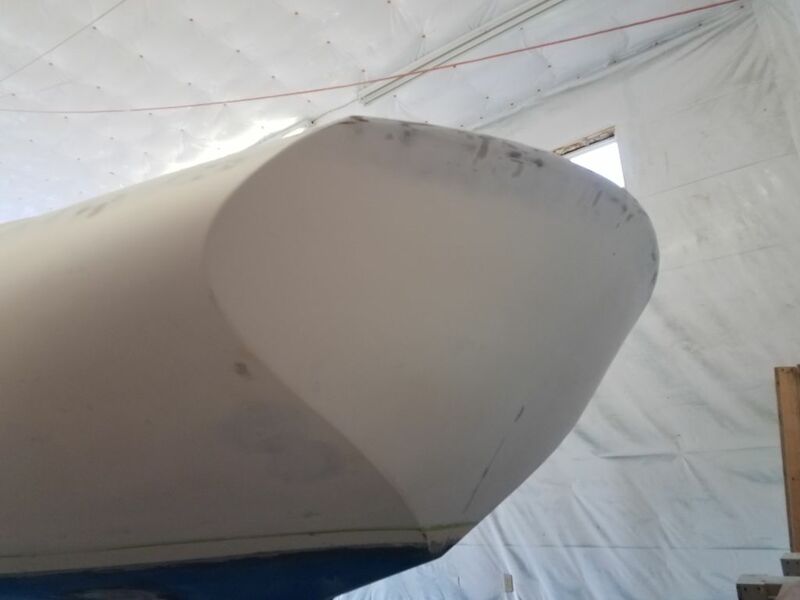 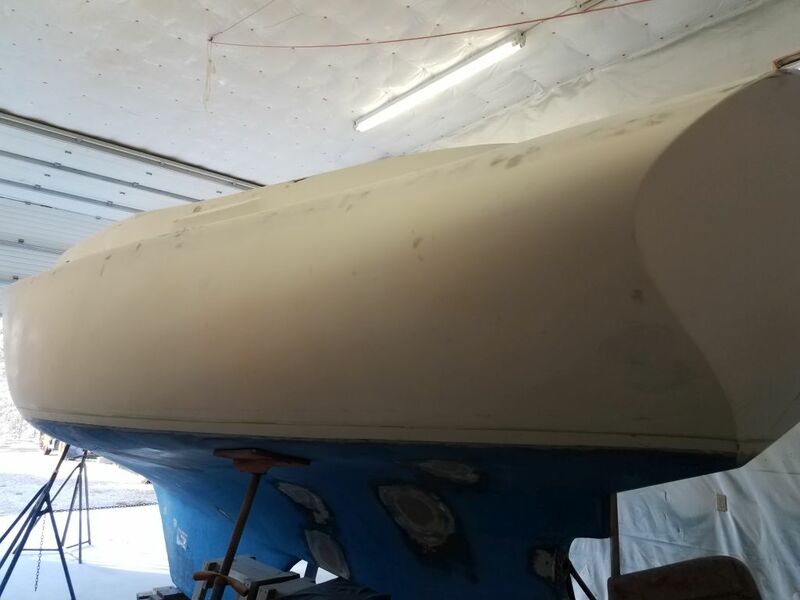 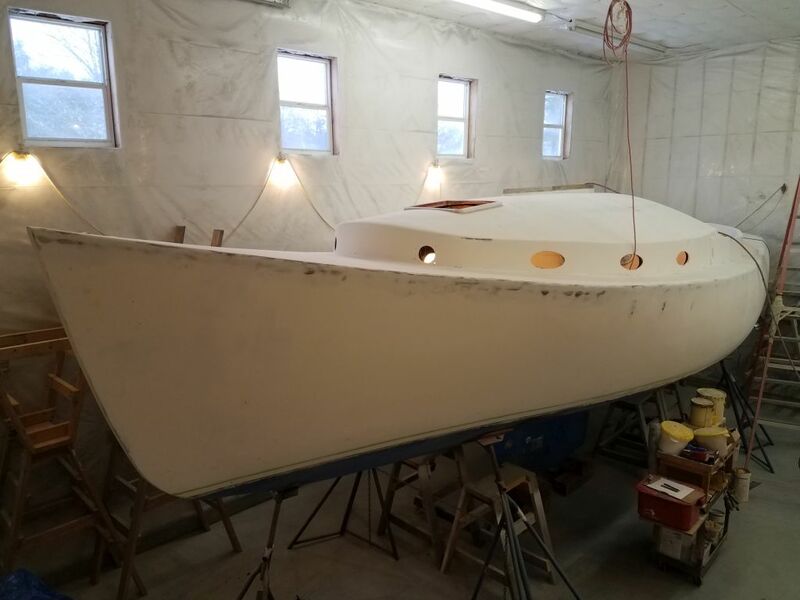 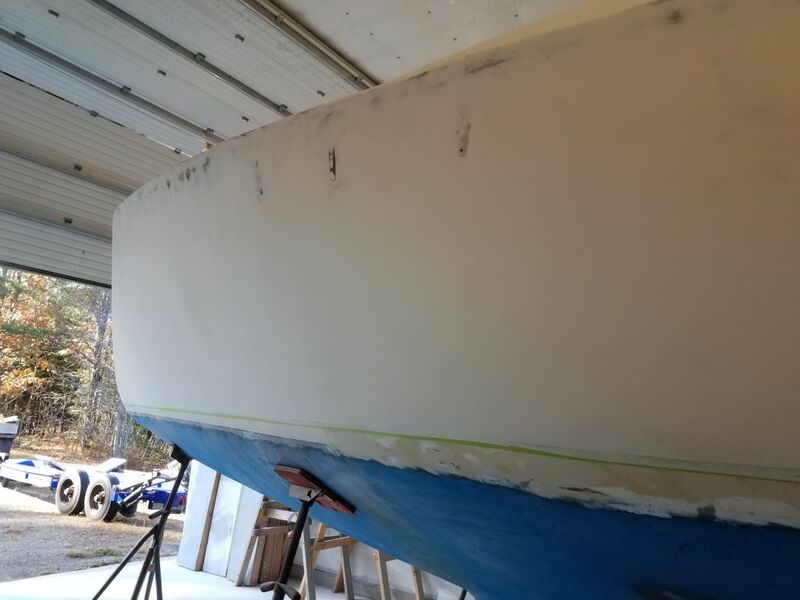 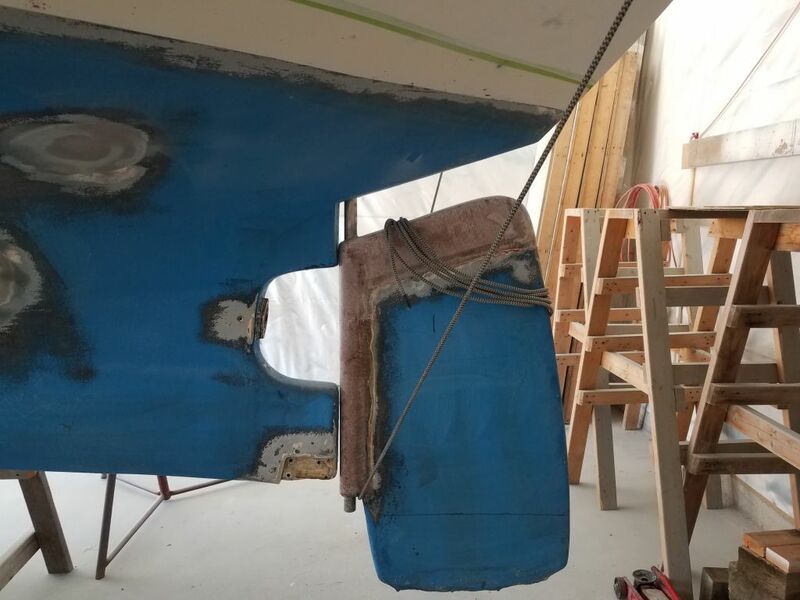 Next, I lightly sanded the new fiberglass on the top of the rudder, just removing rough edges and lightly fairing with the surrounding areas. 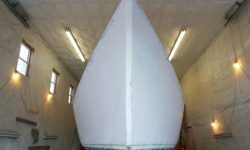 There’d be more work on the rudder ahead, but for the moment I wanted to partially raise it back up into the boat and remove the temporary blocking, as I needed to move the boat over closer to the wall in the shop to make room for other projects for the next couple months till I got back to work on Scupper in earnest with Phase 2 later in the winter. 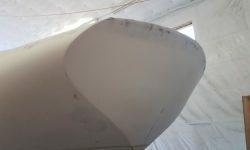 With my jack, I lifted the rudder back up, then used a line wrapped over the poop deck to hold the rudder in place for now, just so I could reposition the boat. 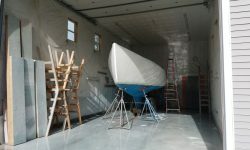 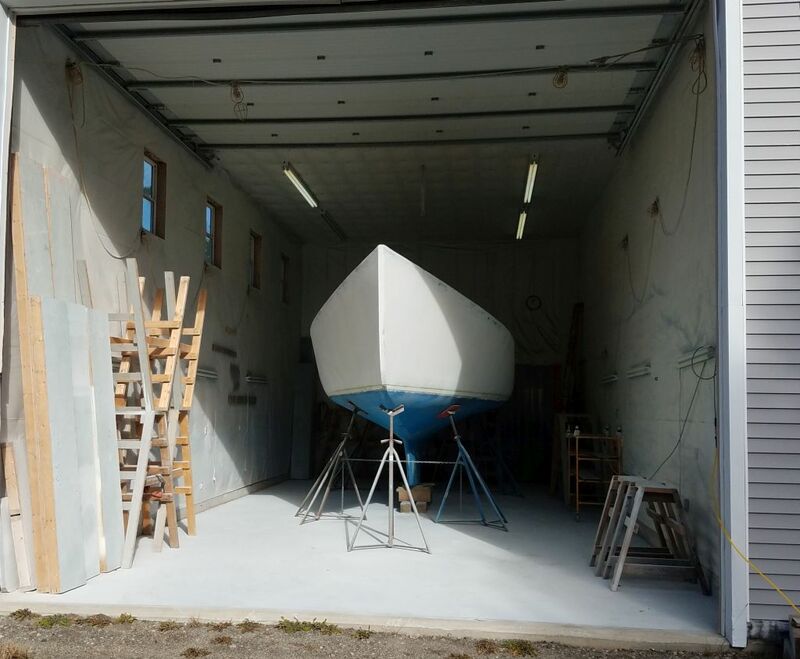 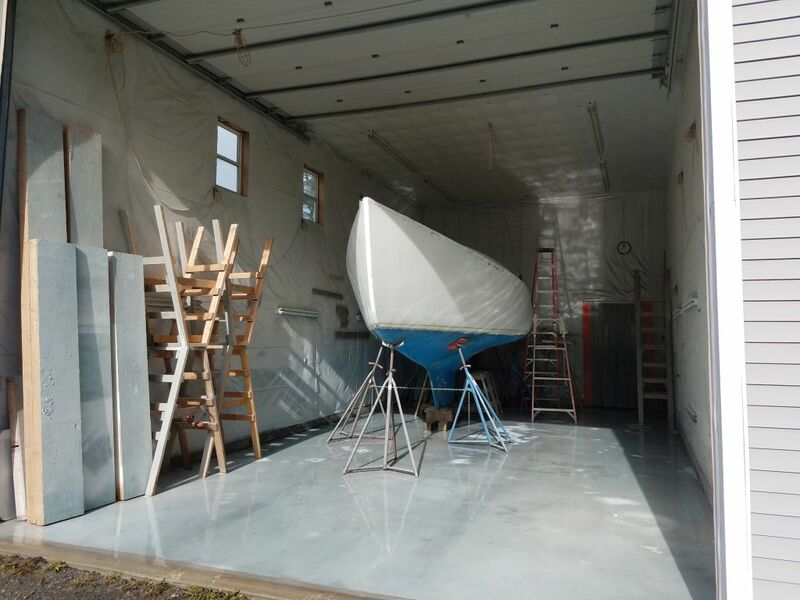 Afterwards, I moved her over closer to the wall, opening some space to one side of the shop and near the door that I could use for some other projects on the docket. 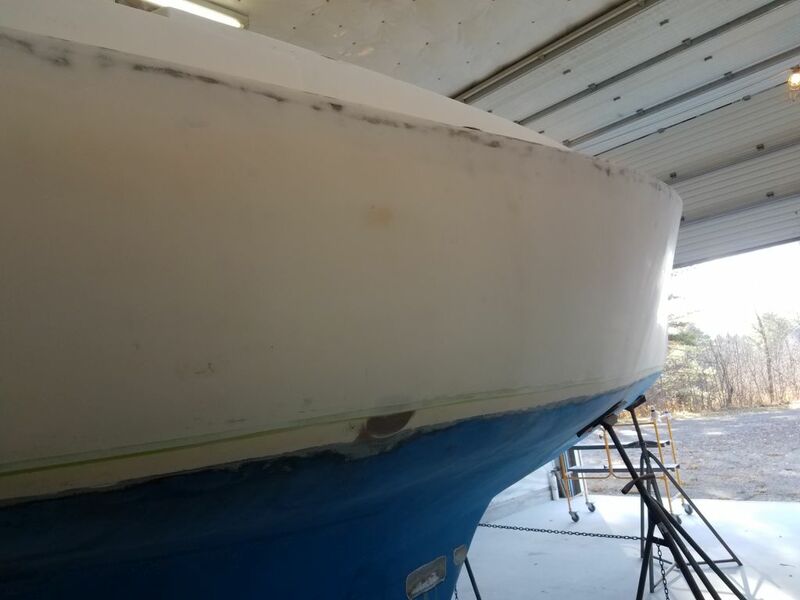 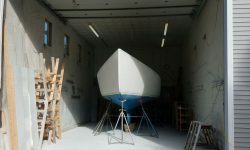 It wasn’t a big move, but enough for what I needed, and I wouldn’t need full access to Scupper’s hull for the next round of work in any event.